Der Dirigent Leif Segerstam und das Philharmonische Orchester Helsinki musizieren diese Partituren wie magische Beschwörungen, wie Rituale einer uralten Naturreligion. 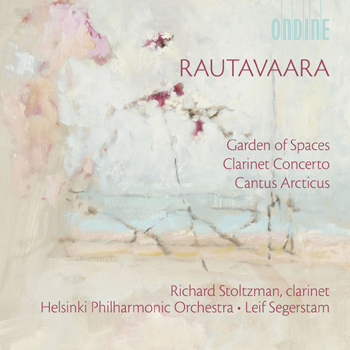 This marvelous disc contains what unquestionably is the finest available performance of Cantus Arcticus, Rautavaara's most popular piece. (...) Excellent sonics, warm and well-balanced (in the concerto). A Finnish master stroke (...). And with the dedicatee Stoltzmann as soloist (in the Clarinet Concerto) and Segerstam (who is very familiar with his composer colleague Rautavaara's work) as conductor, the highest authenticity is guaranteed.